ISABELLA ROSE can accommodate 7 guests in 3 cabins. 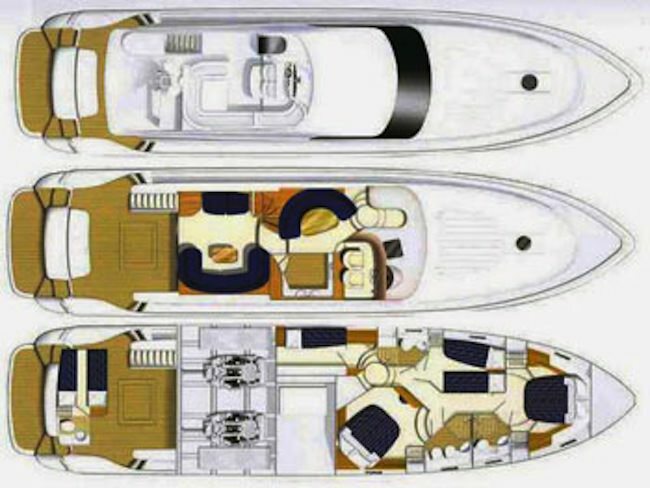 The Master and VIP cabins feature a double bed and private bathroom, equipped with both shower and heads. A Guest cabin has a twin bed, a pullman berth, and bathroom with shower and head. ISABELLA ROSE is fully air conditioned throughout. The crew have a separate cabin, with their own heads and shower. The ISABELLA ROSE has a professional skipper, cook and deckhand.